Make sure you write your postcards in Ho Chi Minh City, as it’s a great excuse to visit the city’s stunning 19th-century post office. Even in a city with such a great wealth of colonial architecture, the superb Saigon Central Post Office is a notable highlight. Step inside to marvel at the sublime barrel-shaped hall with its cream tiled floor and to admire intricate hand-painted maps on the walls. Designed by the French architect Gustave Eiffel and completed in 1891, the, Saigon Central Post Office is renowned as one of the finest examples of Renaissance architecture in Vietnam. Take a few moments to admire the building’s features from the street outside and you will see the rows of arched windows, the large clock above the main entrance and the red and yellow Vietnamese flag flying overhead. When you step inside, you will instantly notice the high curved ceiling that runs the length of the spacious main vault. Supported by green iron poles, this would not look out of place in a 20th-century British railway station. On the walls on either side of the main hall, look for several hand-painted maps. Take a closer look to see Saigon and other parts of South Vietnam in stunning detail. Make your way across the shining tiled floor, past rows of operational phone booths and desks to the far end of the vault. Examine the colorful mosaic hanging on the wall which depicts the revolutionary leader Ho Chi Minh in exquisite detail. If you don’t have anything to mail, head outside to the entrance where souvenir sellers often converge. Purchase a range of memorabilia along with postcards and artistic pictures. Stamp collectors can also find an array of rare stamps on sale inside the post office. Find Saigon Central Post Office on Cong Xa Paris Street just across the road from Saigon Notre-Dame Cathedral. As a fully functioning post office, the building is open through the week. 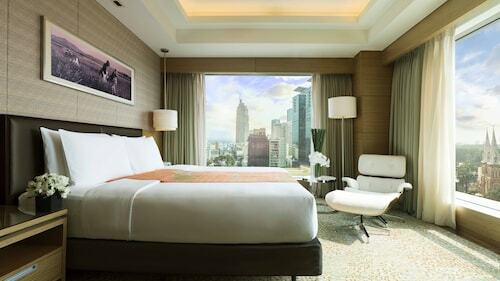 Have a look at our Ho Chi Minh City things to do page to learn about even more activities in the area. This striking government office is undoubtedly one of the city’s most impressive colonial buildings. Get an appreciation for the years of conflict and unrest that plagued Vietnam during the 20th century at this fascinating palace. Christianity may not be the dominant religion in Vietnam yet this stunning cathedral is considered by many to be Ho Chi Minh City’s most iconic landmark. Immerse yourself in some of the city’s best shopping and entertainment at this modern retail center. This stunning theater, with its glistening white architecture and curved lines, makes it easy to forget that you are in Ho Chi Minh City and not in Paris. An exquisite French colonial villa is home to a collection of fine art that explores the interesting history of this diverse country. Discover a huge array of exhibitions that explore Vietnam’s intriguing and sometimes troubled past. Relax in one of Ho Chi Minh’s best city parks where there’s a children’s playground, plenty of open space and beautiful manicured gardens. No trip to Ho Chi Minh City is complete without exploring this bustling market where you can enjoy a traditional Vietnamese dish or purchase souvenirs. Two buildings packed with some of the finest designer brands in the world make up the city’s largest shopping hub. Enjoy spectacular views over the entire city from the top of this 68-story skyscraper. Spot landmark buildings and watch the sun go down. Purchase exclusive branded garments and stunning jewelry at one of the most luxurious department stores in Ho Chi Minh City. 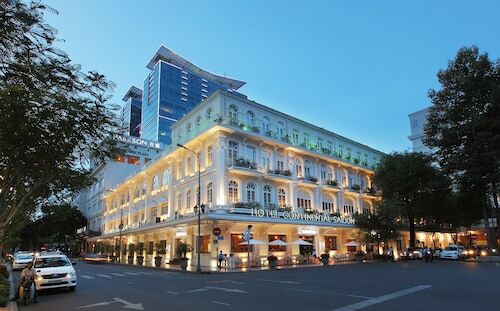 Take time out from the busy streets of Ho Chi Minh City and relax amid the French Colonial architecture and fragrant blooms of this historic square. 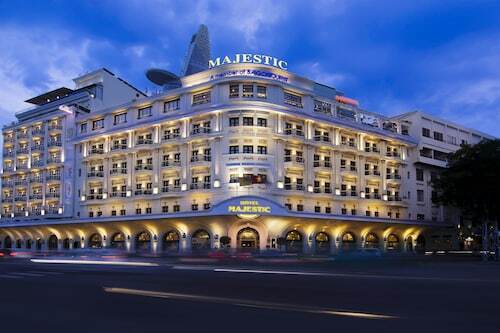 Located in Dong Khoi, this hotel is steps from Dong Khoi Shopping Street, Saigon River, and Opera House. Vincom Center Shopping Mall and Ho Chi Minh City Hall are also within 5 minutes. 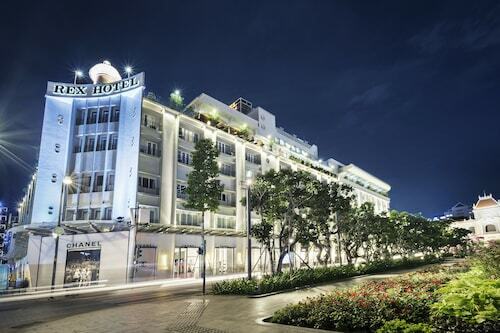 Situated at Lam Son Square, Park Hyatt Saigon is just steps from the elegant Opera House, Notre Dame Cathedral, Reunification Palace, Ben Thanh Market, and other main tourist attractions. The exhibition center and business district are also within easy reach, as well as the airport. 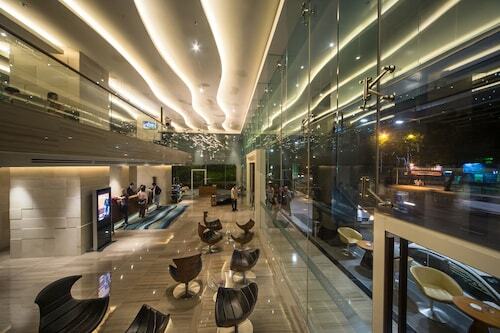 Located in Dong Khoi, this spa hotel is steps from Dong Khoi Shopping Street and Saigon River. Bitexco Financial Tower and Opera House are also within 10 minutes.